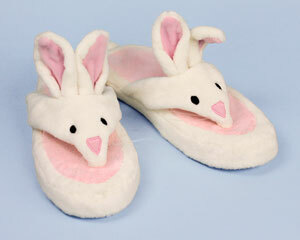 Don't be a bear in the morning! 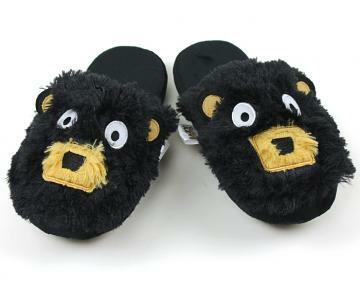 Our adorable Black Bear Spa Slippers are sure to cheer you up, even if you wake up on the wrong side of the bed. 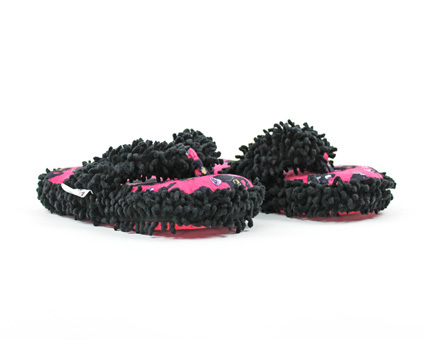 The super-soft fleece footbed features a sleepy black bear in various stages of waking up. 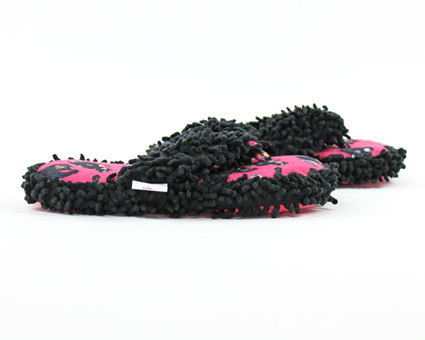 The black fringe fabric on the straps is cozy against your feet, and the no-slip sole prevents sliding around. 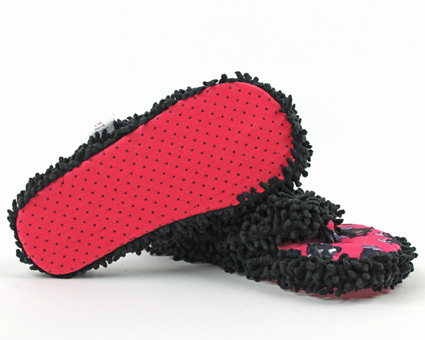 High density foam ensures support and comfort. 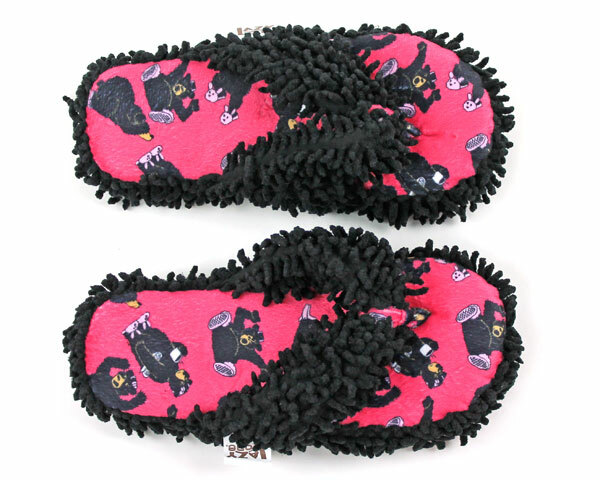 Whether you're stretching, yawning, or drinking your morning cup of coffee, you'll be comfortable in these Black Bear Spa Slippers.